I have done a series of posts on U.K. flood risk which I think is of interest to any homeowner (or potential homeowner) with a property that could be affected by flooding. You can jump to the posts via the links or alternatively read the series as one long essay below. At the close of the Q&A at the end of the evening, the moderator encouraged the audience to mingle with the speakers and take the opportunity to ask any follow-up questions. I ambled up to Professor Arnell to ask for a pdf copy of his Powerpoint slides. However, before I could get to Professor Arnell, he was grabbed by a late middle-aged man who wanted to vent his frustrations relating to his insurance company (I shall call him Mr. Angry). In short, the insurer was now demanding a £1,400 (about $2,100) annual insurance premium for flood risk cover and a £15,000 (about $23,000) excess for flood damage (the home owner has to pay the first £15,000 of damages before the insurer steps in). Result? He declined and his house now goes uninsured. The year 2007 led to the Pitt Review of the U.K.’s flood preparedness and subsequent implication of most of its recommendations. In 2009, the Environment Agency published its latest National Flood Risk Assessment (NaFRA) that forms the underpinning for the one-in-75 year flood risk demarcation point and is provided to the insurers. Actually, NaFRA has 37 categories of risk all the way out to one in 1,000 events. Rather strangely, while the critical risk number is one in 75, the flood maps open to access by the general public show only one-in-100 risk and one-in-1000 risk areas. An example of the flood map of my home town of Henley is below (you can access the map for any area in the U.K. here). Dark blue is one in 100 and light blue/green is one in 1000 (note that for coastal areas, the dark blue area relates to a one in 200 food risk). The current agreement under which insurers continue to offer flood insurance to their existing customers will expire on 30 June 2013. The insurance industry has proposed a new a scheme to ensure customers can still buy affordable flood insurance, after this date. We are currently in talks with the Government about taking this forward. The core message in the video is the same as the core message of this blog: risk is the probability of an event times the cost of the event. When we buy insurance, we generally are buying insurance for a low probability, high cost event. A horrible spiky risk; so if you are unlucky on the roulette table of life, a single event can rampage through your finances. But an insurer, by pooling hundreds of thousands of such single spiky risks, can make them smooth and well behaved. As the video above notes, the insurer’s friend is the actuary, whose job is to calculate how those single spiky events look like when pooled together. If you like maths, then I highly recommend this short paper on Risk and Insurance published by the Education and Examination Committee of the U.S. Society of Actuaries (SOA). It takes the video above up a few levels. Just to repeat, risk has two components. SOA calls these frequency and severity. This random variable for the number of losses is commonly referred to as the frequency of loss and its probability distribution is called the frequency distribution……..The second random variable is the amount of the loss, given that a loss has occurred. The amount of loss is often referred to as the severity and the probability distribution for the amount of loss is called the severity distribution. By combining the frequency distribution with the severity distribution we can determine the overall loss distribution. So the insurer is going to call in an actuary and ask two key questions: if I insure a bunch of homes for flood, how often are they going to get hit by floods, and when they are hit, how much will it cost? So how does an actuary answer these two questions? The first thing they will do is look at their database of past events. This will give them a first cut at the ‘frequency distribution’ (how often flood comes) and the ‘severity distribution’ (how much flood costs). As a blogger, I absolutely loath those bloggers who use full caps to put a point across. It seems shrill and crass to me. But today is an exception. The holy grail of every actuary are frequency and severity distributions THAT ARE STABLE. If the distributions are stable, you can use the past to tell you things about the future. So back to the Environment Agency and the National Flood Risk Assessment (NaFRA). Note that NaFRA is a frequency distribution; it doesn’t say anything about the severity distribution. Is the frequency distribution as published by NaFRA stable? Unfortunately, no. Between each update of the NaFRA, homes move between the various risk categories, with the progression being from lower risk to higher risk. Moreover, as I noted in my previous post, the Environment Agency is not incorporating climate change into its risk assessment. So if you could ask them what your flood risk is currently, they will tell you what is was yesterday, not what it will be tomorrow. Let’s now revisit some slides from Professor Arnell’s presentation that I talked about in my first post. These tell us that climate chance is, implicitly, going to move the frequency and severity distribution in future years. 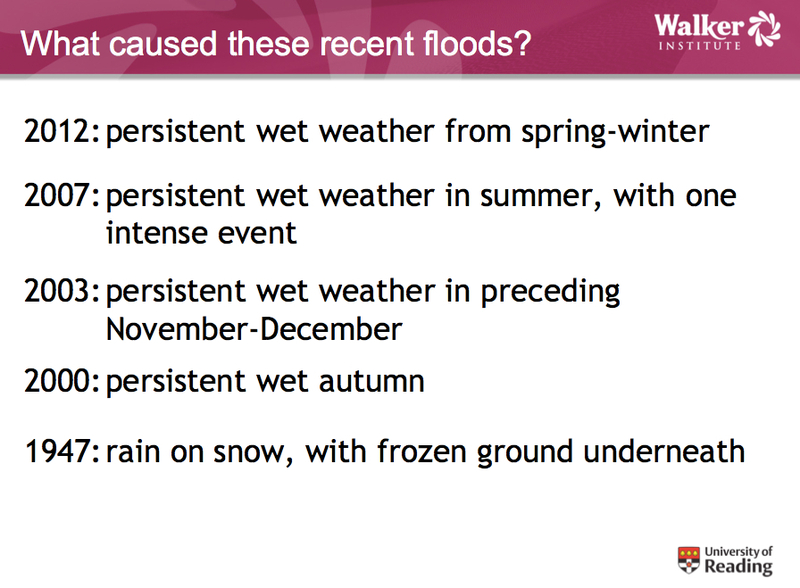 As one of Arnell’s previous slides highlighted (in my previous post), you can get floods either through intense events or chronic events. So remember these are percent changes. Just because we have dry summers doesn’t mean we can’t get inundated in winter. So this says that the hoped-for-stable frequency distribution of the actuary will wonder around. But it gets a lot worse. This is climate change theory being put together in real time. For example, it was only in 2007 that Arctic sea ice extent drastically diverged from its expected path, in the process putting large swathes of sea into an ice free state at certain times of the year. 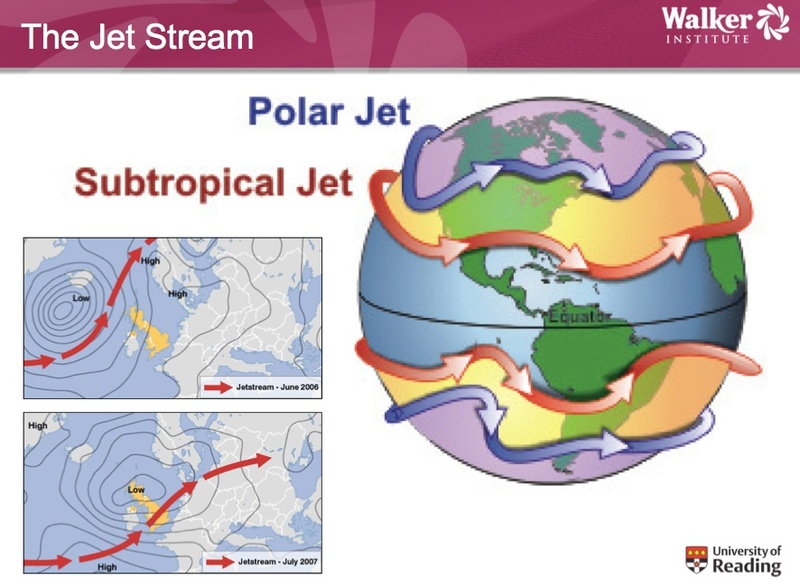 And it is only recently, that attention has focussed on instability of the jet stream, with a flurry of academic papers linking this to the warming of the Arctic. That is at the macro level. At the micro level, Professor Arnell’s presentation brought home to me the sheer variability of flood risk at particular localities. The village of Pangbourne has a variety of catchments that all have different characteristics. 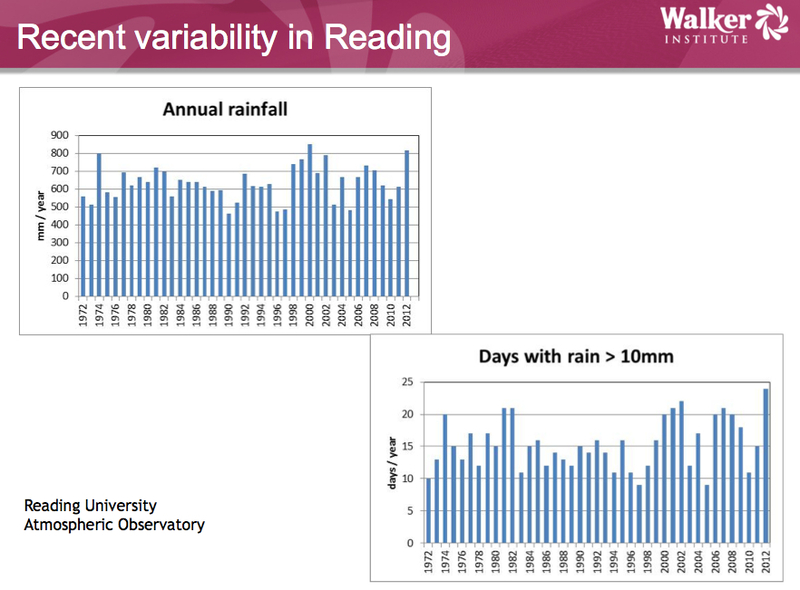 Accordingly, slightly different permutations of rainfall intensity and perseverance in slightly different localities can give rise to very different flooding outcomes. The actuary really doesn’t like this. They want independent and identical random variables for the efficient modelling of risk. If they don’t get them, their overall loss distribution stretches out with big, fat risk tails. The type of tail that produced the £3 billion plus loss in 2007. And what to do in this situation? Easy: Cut that tail off. Don’t insure Mr. Angry of Pangbourne who we met at the beginning on my first post on the topic. So what to do in this insurance game? Well, first recognise the asymmetry of information. The insurance companies are currently recognising that they don’t know the future shape of risk (and they don’t like it)—that is why they are so keen on passing the risk over to the government. By contrast, most home owners haven’t the faintest clue that they don’t know the unknowns. In my next post, I want to drill down a little into that asymmetry of information between insurers and home owners, and how the insurance industry wants to change the rules. In my last post, we saw that the insurance industry has broken with the status quo because it realises that flood risk has entered into a new era. The stable frequency and loss distributions that underpinned their actuary-led calculations of the past are no more. The loss-related data that the industry laboriously collected in the past only gives insurers a limited ability to look into the future. Nonetheless, if we only think of the pure insurance risk (as opposed to an insurer’s business model risk), insurance companies are really looking out only one year: when a home owner’s policy comes up for renewal each year, the insurer has the opportunity to change the terms and conditions of the policy including the premium and excess. And they could change the terms and conditions very aggressively—the equivalent of suspending coverage, just in disguise. Given these factors, if an insurer can look out for that one year and capture a decent understanding of the risk, it should be protected from any massive loss event that blows it out of business. And if there is a big loss event and the insurance company is still standing, it can subsequently change the terms and conditions of the outstanding policies at the next yearly renewal including a hefty hike in the premiums. Up until the floods of 2007, with their £3 billion-plus associated insurance pay-outs, the information in the hands of an insurer and a well-informed home owner would have not been that much different. Both would have had access (and still do have access) to the Environment Agency (EA)’s flood maps. A home owner may have more interest in the one-in-75 risk (available from NaFRA) rather than the one-in-100 risk (available from the EA on-line Flood Map) since this is the demarcation point used to differentiate between ‘significant’ risk and ‘moderate’ risk, and as a result drives insurance premiums levels. Moreover, this risk demarcation point gives an some indication of what ‘significant’ risk property owners may be in for after the expiry of the Statement of Principles agreement expires in June 2013. Because of the 2007 floods (when surface water flooding caused 50% of the flooding and 75% of the damage by value), the insurance industry has turned to the private-sector to fill the numerous holes in the Environment Agency’s risk assessment (NaFRA). Against this background, a significant asymmetry of information has emerged between insurers and home owners. Until recently, either party could access the same flood risk data (although the insurance industry would have had its own loss data). Now, insurers are buying a whole range of data and analysis that home owners don’t get to see (at least without paying significant sums of money). 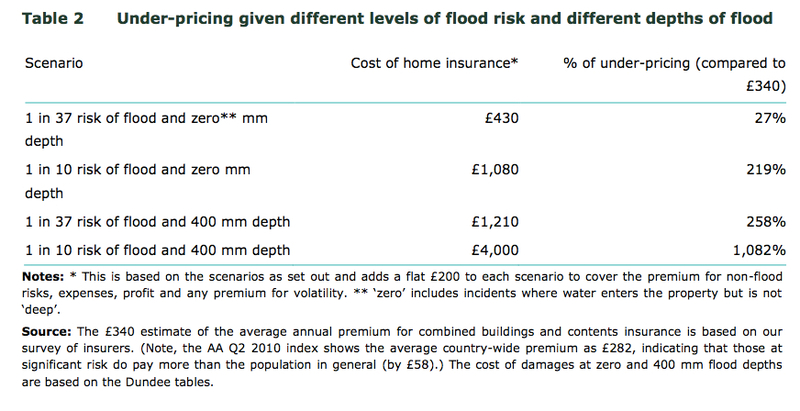 Specifically, insurers are purchasing data sets from such firms as JBA, RMS and Ambiental that a) give surface water risk, b) provide more detail than NaFRA’s 100 metre by 100 metre squares and c), in some case, offer predictions on potential depth of flooding. Moreover, ground water flood risk data is being made available by the British Geographical Survey (BGS) on a commercial basis here. Finally, firms such as Argyll Environmental have sprung up to provide consulting services that blend all the available information together. To give you a sense of what insurers can potentially see, the image below is taken from a JBA submission to the MacRobert engineering awards. 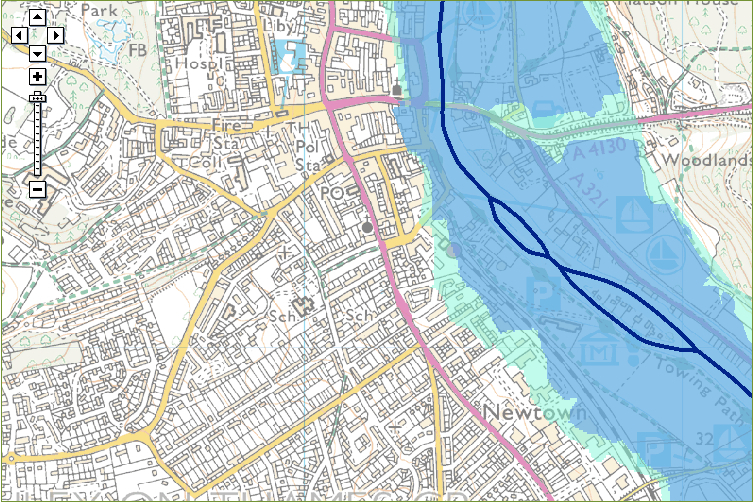 The level of detail is far and beyond anything in the Environment Agency’s flood maps. The analysis above has an interesting hole: if ‘significant’ risk properties are being underpriced insurance premium-wise, then other properties are being overpriced. The £430 in the first table has to go somewhere, either as a burden on other property holders or as a drag on insurance company profits. Note also that the 124,000 properties are a sample, not the actual population of insured significant risk properties. In reality, the industry has explicitly stated before that such underpriced risks are being parcelled out to property owners in low risk areas. This is one form of the socialisation of risk. Such actions, however, give rise to the problem of adverse selection. According to Wikipedia, the ABI covers 94% of insurance-related service provision in the U.K., but it is still worried that new entrants can cherry pick low or no risk householders by offering them policies that include none of the implicit subsidy in the policies offered by ABI members under the Statement of Principles. It is important to note that the premiums charged and policy terms will reflect the level of risk presented and are not affected by this commitment. So if you happen to live in a property at significant risk such as those in the Insurance Age article below, you basically are at the mercy of your insurance company’s forbearance. And if the ABI wished, it could gut the Statement of Principles without actually cancelling it by hiking premiums and putting up excesses. However, it doesn’t want to go down that road. Why? Well, to be fair, the ABI may worry about the fate of the 200,000 or so ‘significant’ risk households (and counting upwards as climate change winds its merry way) that may lose access to flood risk insurance (and thus the ability to secure a mortgage loan) in the years to come. And then again the industry may worry about the political risk. Mr Angry of Pangbourne, who we met in my first post, is in a deep funk. And I am sure he is already venting at one or more of his local council, district council, the Environment Agency and/or local MP. As climate change progresses and the risk tools of the insurance companies improve, expect more Mr. Angry types to be created. Further, what will the collective noun of Mr Angry types do? Very likely pack together to become The Very Angry Owners of At-Flood-Risk Houses Association. Actually, they already have some outlets to collectively vent in the form of Know Your Flood Risk and the National Flood Forum (although the former has rather opaque roots and the latter was partially founded by the government and thus has the wisp of a Russian union organisation in the old Soviet era). However, I expect that as their numbers growth, and anger rises with each successive flood, they will become a much more irate political pressure group. The fund would be a major improvement on the SoP (Statement of Principles) as it would deliver a competitive market where consumers have real choice whilst ensuring homes at risk of flooding are able to buy affordable flood cover. The fund would provide flood insurance for the 1- 2% (~200,000) properties in the UK where accessing flood insurance in an open market would be problematic. The remaining 98% of properties would continue to be covered by the industry as normal. And to the important question of where the money for the fund would come from? To make sure that the fund had sufficient money in it, insurance companies would make an annual contribution based on their level of premium income in the form of a levy raised from all insurance premiums. This would complement the income to the fund from the flood premiums from the high flood risk properties in the scheme. While the losses could be smoothed through reinsurance, in the event that not enough funds had built up in the first few years to cover a major incident like the 2007 floods, there would be a deficit needing to be met (effectively a need for an overdraft facility). Exceptionally large losses, such as a catastrophic North Sea tidal surge, may exceed this. We are currently discussing the model with the Government, and one of the key aspects of the negotiation is how we can work together to manage the liabilities of the scheme and raise the funds needed by the pool to operate, and well as the assurances insurers need about investment in flood defences to commit to the solution. Now at first glance, this doesn’t look revolutionary. If the government is only extending an ‘overdraft facility’, then the industry could hike premiums following a 2007-type event and pay back the government. A problem arises, however, if a) 2007-type events start appearing with increasing frequency (which they likely will with climate change) or b) super 2007-type events occur (which they also probably will with climate change). Let’s say these super 2007-type events are equivalent in damage to a catastrophic North Sea tidal surge (which happens to be mentioned by the ABI above). The wording in the submission to parliament is suitably vague, but suggests that such events will produce losses above the government’s overdraft facility and……? They can’t quite bring themselves to say it, but I think the answer is pretty clear: the government picks up the tab. So to recap, my previous post suggested that the insurance industry is grappling with frequency and severity distributions that have become unstable and have flattened out. So the industry’s overall loss distributions is growing a big, fat tail. The industry can only deal with this expanding tail by chopping it off. They can not extend insurance to the growing band of ‘significant’ risk customers—or bring in outrageously high premiums and excesses which is basically the same thing. Alternatively, they can give the tail to someone else, preferably the government. Moreover, as the information asymmetry between householders and insurers has grown over the last 5 years, the industry now knows who is in the tail of negative outcomes (and who is likely to migrate into this tail over the coming years as climate change progresses)—while the vast majority of home-owners don’t. In my final post, I will take a look at what happens to valuations on flooded houses and take a closer look at how climate change is making the risk pass the parcel game between home owners, the insurers, local councils and the central government ever more intense. 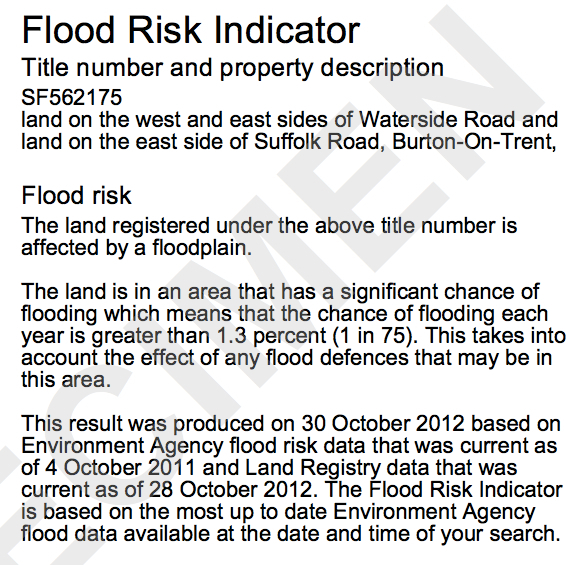 The National Flood Risk Assessment (NaFRA) of 2008, conducted by the Environment Agency (EA), calculates that 330,000 properties are at ‘significant’ risk (defined as one in 75 years) of fluvial flood in England. The survey is a bit long in the tooth nowadays, and I expect that if they repeated the assessment exercise today, more houses would fall into the ‘significant’ risk category. In a similar vein, The Association of British Insurers’ (ABI) submission to the U.K. parliament talks of around 200,000 homes (some 1 to 2 percent of the total housing stock) that would now find it difficult to obtain flood insurance if open market conditions solely determined availability (and if they can’t get insurance, they won’t be able to support a mortgage). Climate change is no longer a marginal issue. We live with its effects every day. And we should prepare ourselves for its full impacts in the years ahead. It is time to bring planning for climate change into the mainstream of business life. What the ABI is doing through requesting the government to create a new insurance arrangement after the expiry of the Statement of Principles agreement in June 2013 is to “prepare ourselves for (climate change’s) full impacts in the years ahead”. We can hardly say we were not warned. We can also hardly say that climate change is alarmist nonsense or a socialist plot. The insurance industry is about as close to “red in tooth and claw” capitalism as one could get. And the message from Mr. Market in his insurance industry incarnation is very clear: climate change is coming to a place near you very soon—get used to it. Now the third kind of hard-to-insure risk is stuff that’s expensive and happens quite often. I’m trying to buy a house, I’m nearly 40 and so I’m trying to buy insurance for my family in case I die or become too ill to work. This is perfectly possible: it’s just expensive, because it’s not unusual for middle-aged men to get seriously ill. 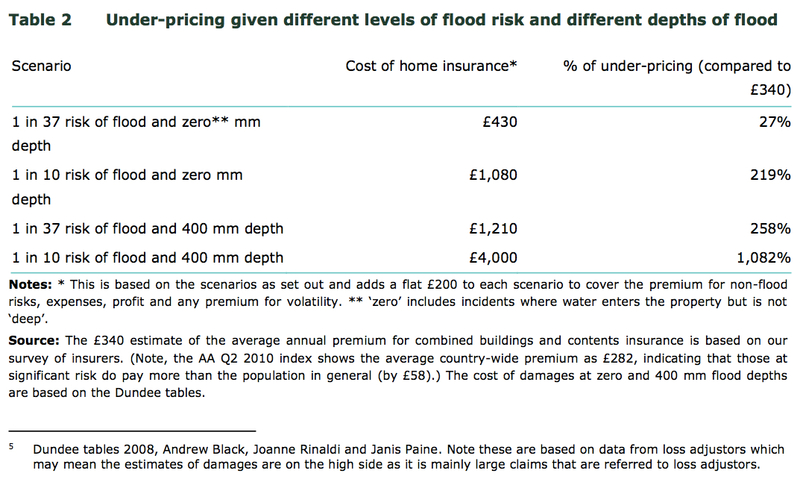 This sounds like a much better description of allegedly uninsurable homes: if there is a one in five chance of a flood, and a flood is going to cost £50,000, don’t expect to pay less than £10,000 a year for flood insurance. …..but unaffordability is not uninsurability. It’s insurable but expensive. If these homes actually were uninsurable the government would need to step in and cut some kind of deal with the insurance industry – exactly the kind of deal that has lasted for the past few years and seems about to unravel. But if the problem is unaffordability, trying to solve it by cutting a deal with the insurance industry is just a way of obscuring what is really going on. The real solution is simple and stark: the government needs to decide whether it wants to pay people thousands of pounds a year to live in high-risk areas or not. If (the government does not want to pay), then people who currently live in flood-risk areas will see the price of their homes collapse…..
……To whatever price would tempt people to live somewhere that was not only prone to distressing and disruptive floods, but was also hugely expensive to insure. Which in extreme cases will be “zero”. The charity the Joseph Rowntree Foundation in its March 2012 Viewpoint Report entitled “Social Justice and the Future of Flood Insurance” describes Hartford’s preferred approach as ‘individualist, risk-sensitive insurance’ as opposed to their preferred approach called ‘solidaristic, risk-insensitive insurance’. Personally, I prefer to call a spade a spade: what we are talking about here is the socialization of risk, or alternatively we could call it the socialization of insurance-related losses. The word ‘solidaristic’ just appears a euphemism to me. But that is not to be judgemental. The right as well as the left appear desperate to keep the word ‘socialization’ hidden in the closet. For example, when the well-heeled Thames Valley occupants of river-front properties write to their local Conservative Party MPs to complain about their treatment at the hands of their insurers, I am sure the letters will contain few passages calling for the socialization of risk. So ‘individualistic, risk-sensitive insurance’ has few natural supporters among home-owners. The Rowntree Foundation, however, goes on to define three types of fairness: 1) actuarial (espoused by Tim Hartford and Mr. Market), 2) choice-based and 3) social justice. The choice-based distinction appears a bit of a diversion to me: few people consciously choose to buy a house with the potential for repeated episodes of flooding. Perhaps, as with all things climate change, many people chose not to know by failing to deepen their knowledge of climate change, but this seems an impractical basis on which decide whether any individual property on a flood-prone street gets insurance cover or not. Further, we must always remember the terrifying speed with which climate change has appeared on the horizon as a major social- and economic-policy issue. The Intergovernmental Panel on Climate Change (IPCC) was only created in 1988, and the issue has still not fully made the transition from academia to the general public. So I think few people have knowingly decided to take their chances with climate change when it comes to flood. So given the foundation’s mandate to support society’s disadvantaged, it is not surprising that social-justice fairness is proposed as the governing philosophy, and ‘solidaristic, risk insensitive’ insurance as the preferred option. Whether the Labour Party will adopt the same approach we do not know. To date the only utterances I have heard from them on the subject are criticisms of the ruling coalition government for prevarication in reaching an agreement with the ABI. Ironically, a Labour Party victory may be Mr. Angry of Pangbourne on Thames’ best bet to get insurance cover reinstated at a reasonable cost. But even if the Labour Party does adopt the flood-risk socialization principle (or its euphemism-laden equivalent), I still see trouble ahead. 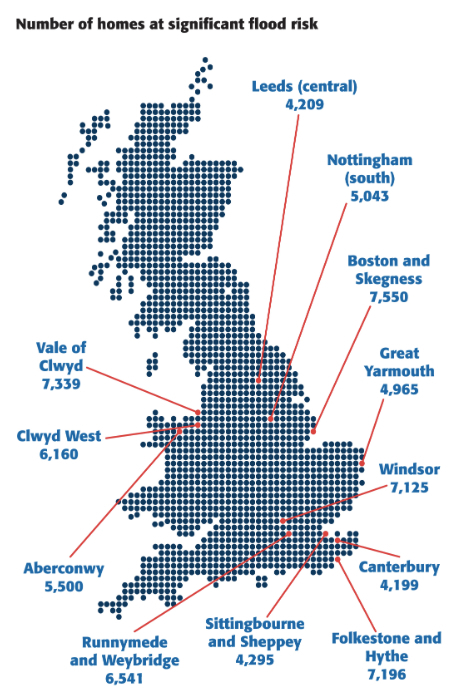 The CCRA shows the total number of residential properties subject to ‘significant’ risk of flooding rising from 370,000 today (actually at the time of the last NaFRA in 2008) for England and Wales to 700,000 to 1,160,000 by the 2020s (click for larger image). 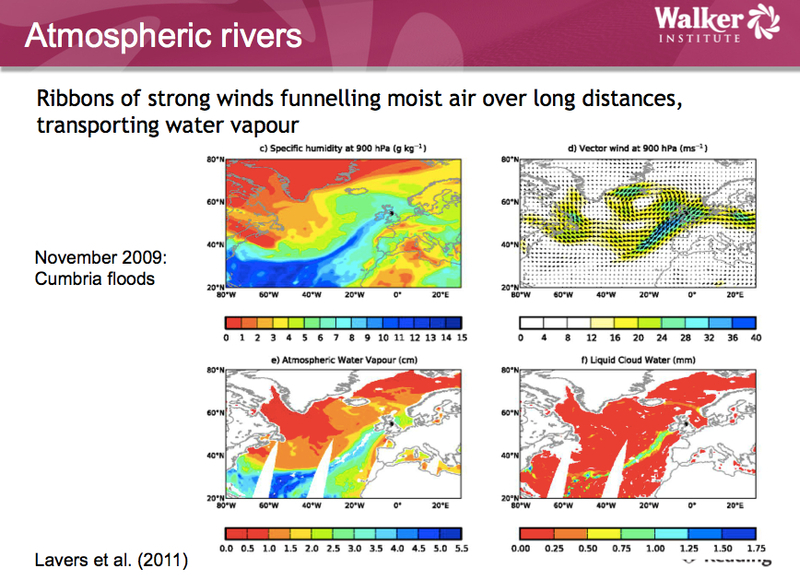 These figures cover tidal and river flooding, but not surface water flooding…. 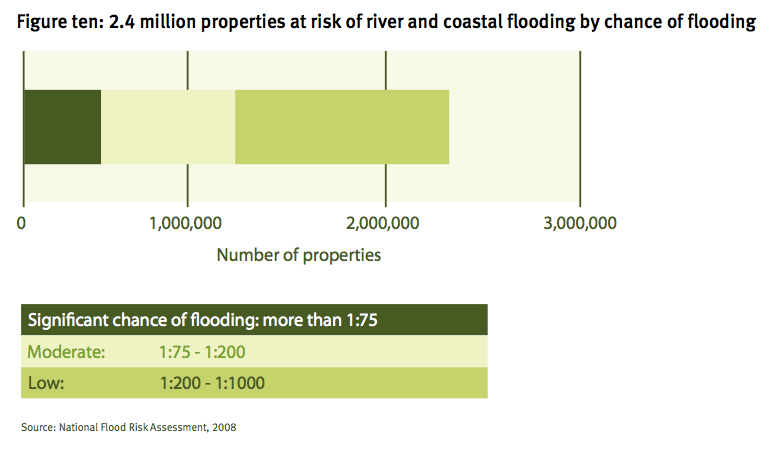 ….There are estimated to be more properties exposed to the risk of surface water flooding than river and tidal flooding. There is therefore an urgent need to develop projections of future surface water flood risk for the next CCRA. As with the Intergovernmental Panel on Climate Change’s Fourth Assessment Report (AR4), the analysis excludes dynamic ice sheet melt effects (Greenland and the Antarctic). As a result, the next IPCC report is likely to see a substantial hike in the sea level rise estimates as such dynamic impacts are included, and this will worsen the outlook for coastal flooding in the U.K. The next U.K. 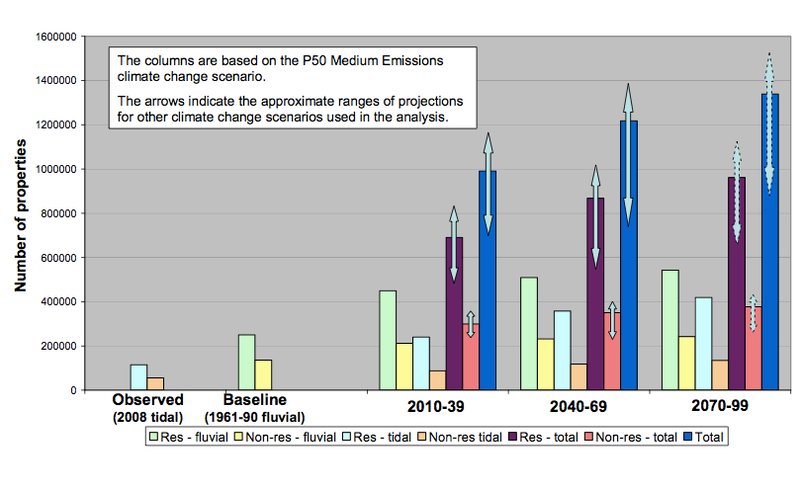 Climate Projection will almost inevitably show sea level rise estimates going up. So while it is very difficult to put an exact time and amount, we appear destined to see annual damages from flood exceed £1 billion before too long. Moreover, spikes are soon likely to exceed the £5 billion of damages in 2007 (the insurance bill was the lower figure of £3 billion since not all properties were covered by insurance; moreover, even for those that were covered, the home-owners had to stump up their insurance policy excesses). Then what part of those £1 billion average losses, or £5 billion plus spikes, will society decide to ‘socialize’? I think the ABI research brief dated January 2011 that I referred to in my previous post on flood risk may give us some tentative answers. According to the ABI numbers, at the time of the survey the average cost of home insurance was £220. Those within the ‘significant risk’ category paid slightly more at £260, but the ABI estimates that the true risk-adjusted payment should have been £690. The £430 is the current socialization of risk—a risk transfer from ‘significant’ flood risk home-owners to non-‘significant’ risk home-owners. For this reason, even if we do migrate to a ‘solidaristic, risk insensitive’ flood insurance regime as advocated by the Joseph Rowntree Foundation, I still think it inevitable that the high risk tail will get chopped off as climate change progresses. Fot this reason, home owners needs to take a long, hard look at their properties before the flood risk chickens come home to roost. First, they need to know whether a property is already in the one-in-75-year risk category including surface water and ground water? The answer to this won’t be found by consulting the Environment Agency’s flood map. Second, owners need to ask themselves whether their property could migrate into the high end of the one-in-75 category due to climate change? If the home enters the one-in-10 category, then I think flood insurance will ultimately cease to be available whatever new agreement is hashed out between the government and the ABI. And that, in turn, means the property will not be able to act as collateral for a mortgage loan. This paper argues that major gaps exist in the research and policy understanding of the intersection of flood risk, climate change and housing markets. When extrapolating the research on historical flooding to the effects of future floods – the frequency and severity of which are likely to be affected by global warming – housing economists must be careful to avoid a number of methodological fallacies: (a) The Fallacy of Replication, (b) The Fallacy of Composition, (c) The Fallacy of Linear Scaling, and (d) The Fallacy of Isolated Impacts. We argue that, once these are taken into account, the potential magnitude and complexity of future flood impacts on house prices could be considerably greater than existing research might suggest. A step change is needed in theory and methods if housing economists are to make plausible connections with long-term climate projections. As an example, your well-heeled owner of £2 million Thames side property already knows about flood risk and has defended against it. Further, the property will always retain an amenity value that only a river-front property, with its charming boat house, can provide. The properties 5o metres back are, in effect, subject to ‘virgin risk’; they are sub-prime properties relative to the riverfront prime, and are not set up to absorb the impact of a full-blown flooding event that goes beyond the river front (which will inevitably happen). Existing major UK floods occurred in a financial environment that ensures prospective buyers of flood-liable properties will be able to obtain both insurance and mortgage finance. It is perhaps not surprising that price effects have so far been negligible and temporary. However, once this regime starts to break down, the price effects of floods could be marked, most notably in those flood- prone neighbourhoods abandoned by insurers and mortgage lenders. Humans have a tendency to underestimate risks that appear distant or global, or which others seem to accept without concern (Kousky & Zeckhauser, 2006). Recent studies indicate that buyers may not have full information about properties due to high search costs and sellers’ unwillingness to reveal information about dis-amenities such as flood risk (Chivers & Flores, 2002; Lammond, 2009). 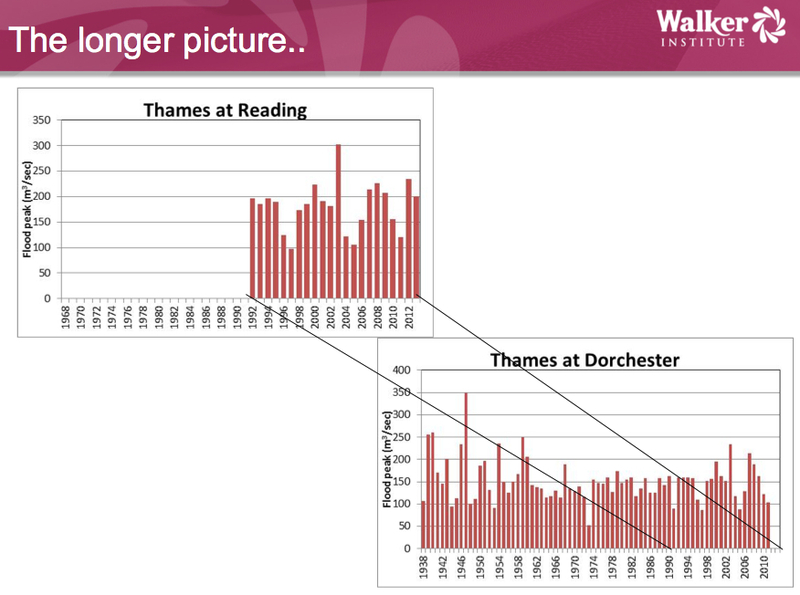 Disclosure of flood risk is therefore likely to decrease market value (Troy & Romm, 2004; Pope, 2008). While individuals may underestimate flood risk, this may not be true if floods become frequent and ubiquitous, because flood events raise people’s awareness of potential risk (Bin & Polasky, 2004). Even in years when a particular dwelling is not flooded, the prevalence of flooding elsewhere, communicated via accounts in news reports and social dialogue, will act as constant reminders of the household’s flood risk. People will not forget because the climate and media will not permit them; and the bounce-back effect will become a thing of the past (Pryce et al., 2011). This is really just common sense. You only need one part of the neighbourhood to be impaired in order to impact on the value of the entire neighbourhood. Unfortunately, the housing economics literature on floods has so far developed largely under the assumption of climatic stability. This applies to absolutely every single economic, financial and social relationship that has been forged in the modern era. The climate is undergoing a step change away from that of the holocene—under which civilisation was founded, took root and spread—to the human-generated climate of the anthropocene. 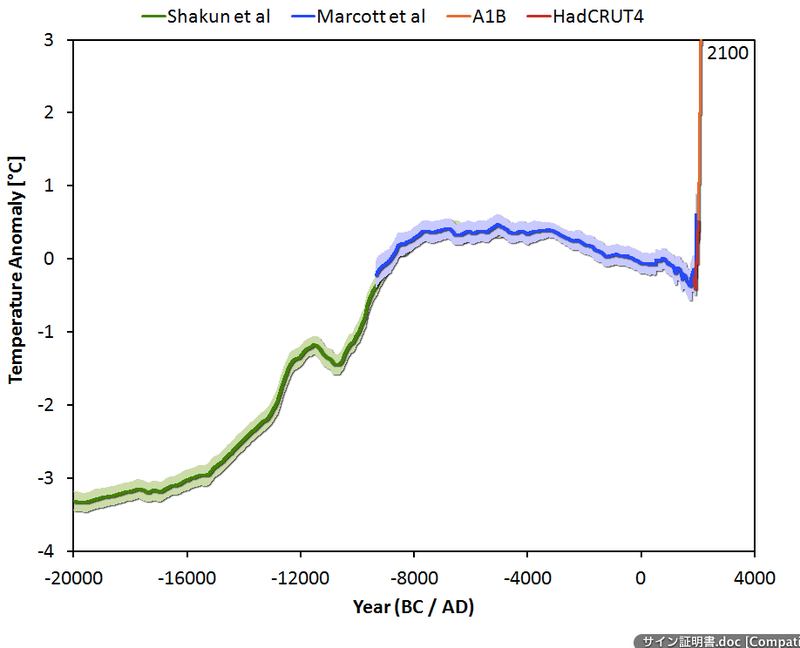 The chart below, from Bart Verheggen’s blog, shows predicted temperature change set against the background of the temperature of the last 20,000 years (back to the last ice age). Message for flood prone home owners: you ain’t seen nothing yet. Can we put some numbers on the bad stuff that could happen to the price of flood-prone houses going forward? Well the Adam Smith Research Foundation certainly doesn’t. I would sum up their paper with these words: “we used to know some stuff about the value of houses after flooding but now we don’t—and what we know we don’t know isn’t good”. One other thing we do know is that when insurance companies know something they don’t know they will either not insure, or alternatively only insure at vast cost. Personally, when it comes to flood risk, I don’t like the fact that I know I don’t know. So when buying a house, my first reaction on coming across the merest whiff of flood risk in this new era of the anthropocene would be ‘don’t buy’. For an existing owner, the same applies: which means ‘sell’. Finally, for those who love their houses—even if they are categorised as ‘significant’ risk—and wish to hand them down to their children, my advice would be to get active in lobbying the government to do more to prevent climate change. If you think that climate change doesn’t exist or is not your problem, then you must understand that Mr. Market disagrees. Thank you for that excellent and well-researched pice. I came across it while googling for information as we are in the process of buying a house and trying to make decisions. We have rented next door to the house we are buying for 10 years. When it came on the market we jumped at it – it has a fantastic huge cottage/wild garden at the back and we love the location. So when it was flagged as a flood risk we were’nt too bothered initially – yes the road name is ‘Bridge End’ and yes it is 25 metres from a river, but the river is about 6 metres down and we have been told by all the locals that reservoirs built in the 1970s prevent it flooding. But then we can’t get Insurance. The postcode is black-listed – every single high street Insurer turns it down flat. Agent suggests taking over seller’s insurance. Sellers inherited the property which is empty and they only have cover for an empty property and no flood cover – seems they had to change Insurers in June. We call seller’s insurer who are a specialist Insurer and they offer cover but no flood cover. To cut a long story short I decided that it was too much of a risk (premiums could go up, cover could be pulled) unless we could get three quotes. I now have three quotes. One through a broker with a company we have never heard of, one with a reputable Insurer who say they would have turned it down flat and it was a special consideration because we are long-term members with other Insurance with them – and one from the only High Street Building Society Insurer who did not turn it down flat, but quoted £2,500 per annum. Another well-known Insurer did not turn it down flat but said they ‘may’ consider it if we had a flood risk assessment report done. Meanwhile I had got an ‘Insurance Related Letter’ from the Environment Agency (as advised on a government website) which was fairly favourable and said it was between 1/100 and 1/1000 risk. We sent it to well-known Insurer who replied that they had no reassessed our flood risk and would quote and gave us the number to call. On calling the number we were told the quote was £13,000 a year but since they now had the letter they would adjust the quote and sent the details to their pricing department – but basically they just haven’t given an answer in over a month. So – here we are. What to do. This week I phoned the environment agency to speak to an expert and was almost reassured that it wasn’t really a risk until I mentioned all the press coverage about climate change and maybe it was a load of rubbish as we have had drought years as well. He then informed me they had done a model on climate change and predicted 30% increased rainfall in the next 100 years. We sat down and thrashed out the information trying to make conclusions from the figures and got nowhere. Common sense says – don’t buy a house near a river. But it has not flooded since 1880 before the reservoirs were built and properties that are not in a flood risk area did flood during heavy rainfall. Also the river was at its highest ever recorded level about 10 months ago – 3.19 metres – still 3 metres below us but ….. I sat down again and thought – we have 3 Insurance quotes – one is ok and there are two fallbacks. It might never flood, we can go back and ask for a significant reduction in price and install flood protection measures. However there is a limit to the flood protection measures we could install – door barriers at most – which means it depends how high a flood is – and we couldn’t protect the rear of the property against flood if it came through someone else’s back garden. Then I found a newspaper article from 1930 describing how a freak storm caused a beck 7 miles away to break its banks and come rushing downhill to our village and the river which undermined the river banks road and flooded some houses. No further information to be found about this beck – it is not shown as a risk on environment agency map. So all in all it looks like no go – except there are a lot of people who have lived along this road all their lives, generations of them. We really don’t know what to do! We waited a long time for a property to come up we could a) afford (it needs some renovating which we have budgeted for) and b) without moving miles away – there is very little for sale here. Also I reckon if global warming does cause more heavy downfalls of rain many places round here would be at risk of flooding. This rural area has a major river, hills and troughs, lots of little brooks and streams and of course if the reservoir couldn’t cope it would be armageddon! We have flip-flopped for days about whether to pull out or go ahead and are praying for one little miracle thing to help us tip the balance one way or the other. Finally – there is the Flood Re scheme due to come in next June which ‘may’ give us more Insurance options. Or it may not happen – there’s a General Election due in May. This is a very complex situation and obviously I don’t know the details of your particular case. However, these are a few of my thoughts. 2. Flood Re is not open ended. It will run for 25 years. As climate change marches on and flood risk increases, neither the private sector nor the public sector will be able to afford to insure properties that are flooded regularly. The market won’t wait 25 years to factor this into the value of property: it will discount the risk that Food Re will eventually get pulled well before. 3. Even if there is insurance in place, flooding causes a massive lifestyle disruption. 4. That said, your comment suggests that we would need to see what once would be called a 1 in a 1000 year event to get to your height; of course, this number is coming down decade by decade but it sounds like there is little near-term risk of flood. Moreover, few in the UK are proactive in flood defences. I am astounded that houses next to the Thames where I live have got flooded over the last few years when even simple defences would have kept the water out. I would again look at this in terms of your ability to bear risk. Do you have sufficient funds to plan and finance flood defence well ahead. 5. Think of the flood risk for the area holistically. One of my posts refers to a Glasgow University paper that talks about “The Fallacy of Isolated Impacts”. So even if you remain dry, can you access the property by car? 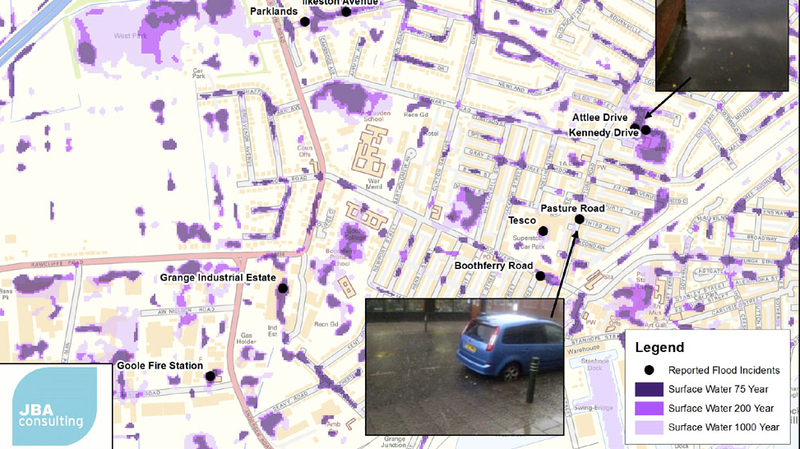 Will local shops and facilities get flooded? If your surrounding area gets repeatedly flooded, the value of all properties in the area, flooded or not, will fall. 6. Does the price of the property already reflect the fact that insurers are unwilling to extend cover? If so, then the trade off may be acceptable: you are taking on a property that is higher risk, but in exchange get a higher return in terms of what your money buys. 7. Finally, and probably most importantly, how does the risk of purchase fit in with your general financial situation and that of your children (if you have any). This is vital. If you are middle aged, with stable jobs, defined benefit pensions and some ISA savings, then you are well positioned if the value of the house falls substantially in, say, 25 years time. In short, if you get the house at a good price, you are in a position to shoulder the long-term risk. However, if your employment situation is less stable and your pensions are defined contribution, you may struggle to build up enough pension. Millions of people are in this position in the UK, but many have the back-stop of taking equity out their houses through downsizing or equity release to buttress a pension. If your house starts to get flooded in 25 years time, you may suddenly find that the back-stop to all your finances is plummeting in value. Similarly, if you have kids and they are not on fast track careers, the bank of mum and dad is what will get them on the housing ladder. But if your house if falling in value due to flooding just at the time they would appreciate some financial help, you will just have to say ‘no’. So in conclusion, the stance of the insurers suggests that you are looking at a house which is higher risk than the norm. To take on that higher risk you need two things: 1) a cheap purchase price to compensate for the risk and 2) a degree of current and future financial security that allows you to bear the risk. If you see yourselves stretched financially now and for the foreseeable future, then taking on a risky asset such as an at flood risk house is unwise. Thank you so much for that reply and apologies for taking so long to respond – I thought if there was a reply I would get an email, but just checked back on the site today. You make a very good point about future pension funding. That had slipped my mind with everything else – yes I was seeing house equity as a possible means of pension boosting in the future. Having said that, we need a home and are struggling to find something affordable. We are the wrong side of middle age and nearing retirement age with very little pension, so location was important (ie walking distance from shops and public transport), as was getting something at a good price. I could forget the pension issue, and even the location issue (there are ways round things), but it is very helpful to know that the flood re scheme has a lifespan. We have had more toing and froing and have now ruled out some potential risks. Flooding from the back is not an issue – there was a freak flood in 1930 from a beck 7 miles away, but since then the area in between has been built up. We feel the river is so far below it will never come up high enough to flood, but yes if we went ahead it would be on the basis of reduced purchase price and would look at flood barriers for entrance path and doors, as a precaution, just in case. This would sort a minor flood. If there was a major flood the whole area is likely to be affected, but our house more than some. We felt flood re will almost certainly go ahead, from reading reports, meaning the slight risk would at least be covered by Insurance if it ever happened and property would remain Insurable. So that then left us with – ok – is it worth a slight risk. I am inclined to think not, but we can’t find anywhere else, there is very little up for sale in the area and particularly at the low end of the market, and have to move out of our current accommodation by March and can’t afford to rent anywhere (currently paying peanuts as a ‘favour’). But that doesn’t seem to me, to be a reason to buy a house just because it is on the verge of going through, if it is a risk to our future. The pension issue is slightly less of an issue, because anything else we could afford is unlikely to go up in value either due to size or location (there is only so much a house is worth however much you spend on it). We were weighing up the ‘house for life’ situation with the future profit situation. But I do think Insurance is the key. It would be a risk to go ahead now with more expensive Insurance and then find that flood re does not go ahead as planned. We will probably still be alive in 25 years assuming the scheme lasts that long. So I guess all the indicators are it is a no go. But whenever we get to that point we feel we are just over-thinking everything and should just get on with it! A friend of ours in the business recently said he thought the future rainfall predictions due to global warming were all flawed as they had missed taking some aspect (I forget what) into consideration. But that is not very concrete really. I guess ultimately we are not going to get ;’concrete’. But I am also aware of the wise comment about psychology you mentioned above, that people often ignore big risks as a kind of denial if they seem distant or global. I really appreciate you replying, thank you. We are fed up of trying to make this decision! Will let you know! With regard to the risk numbers you mentioned. The Environment Agency say it is between 1/100 and 1/1000 risk. 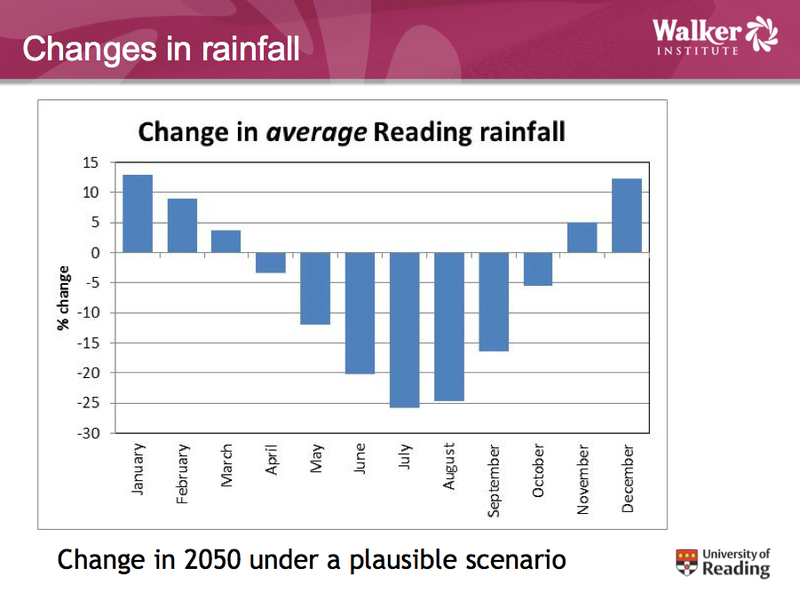 Their letter classes it as “Medium – The chance of flooding is less than 1 in 30 (3.3%) but greater than or equal to 1 in 100 (1%) chance in any given year”. I don’t completely understand this. 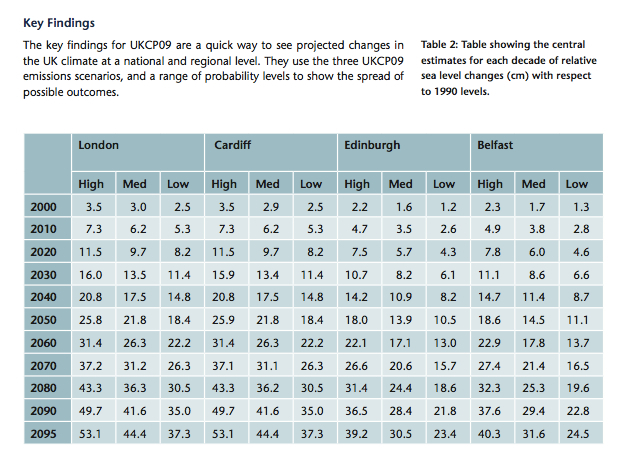 How can it be 1 in 100 chance if the risk of flooding is less than 1 in 30? The floor level of the house is at least 6 metres above normal river level, so about 7.5 metres above river bed. There is a wall between the houses and the river but it wouldn’t be much of a defence because there is a gate in it with steps down, almost opposite the house. There are no further flood defences planned and when I asked the Environment Agency about this – ie I asked – presumably if you thought it was going to flood here you would plan to increase the defences on that road – the answer was it was about cost per head, so unlikely. Which was not particularly reassuring. I am coming to the conclusion that it is a no go. We have seen another house in price range (not in a flood risk zone). Smaller but better option overall. Problem is, it is with the same agent. So knowing estate agents they would probably sell it to someone else if we pull out of current one. Your info has been really helpful, thank you. I keep hanging on for this one as we haven’t really had any other options and need to move in somewhere before March. I feel the risk is small and we could prepare some flood defences. However the fact that flood re is not permanent legislation, but a scheme that could run out or be pulled at some point does make it a high risk for Insurance, saleability and future value. I could balance the last two with the need for a long term home. But the ongoing risk of Insurance being pulled or going up would not be good. Looks like it is back to the drawing board and it is very frustrating! That houses should be at risk of being uninsurable. I am still gob-smacked! Just to let you know we pulled out of the house purchase, and I feel it was the right decision. There are quite a few properties for sale on the same road now and none are selling. Thank you for helping me make an informed decision. Had an offer accepted on something else and it is not in a flood risk zone! But does have a dodgy roof! Easier to fix a dodgy roof than a flooded house though. I think a wise decision. Flood prone houses are best for the deep-pocketed and those with lots of time on their hands who can make the necessary preparations well in advance. For the majority who are both cash and time constrained in their lives, the risk is too high.